I am part of the Three Four and Under blog hop. Great blog! New follower from the Whimsical Wednesday hop. Hope you can swing by my site as well. Happy Wednesday! Love the WW photo - very fun! Or don't? She looks like she is ready to run away quick. New follower for the hop. Hope you can stop by and say hello. Hahah that's one of the best pictures i've seen today, run forest run! Love that pic! New follower stopping by from Fabulous Classroom and Halloweeenkidz :) Have a great weekend! o this is a great photo!! love this!! Have you seen the motivational Pins for running moms at Pinterest...I love them, especially on mornings where I totally lack motivation to get outside and get moving!!! Hi there, found you through Friday Friend Connect. 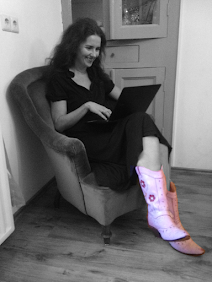 I am now a follower and would be so delighted if you could join any of my blogs. I have multiple blogs so you can choose which one you want to follow, thank you! Have a great weekend. The bride's shoes is very unique. Love this pixt so much...and th caption..pefect! Lovely photo! I am glad to become a Follower. I learnt about your Blog from the Blog Hop. Have a good weekend. 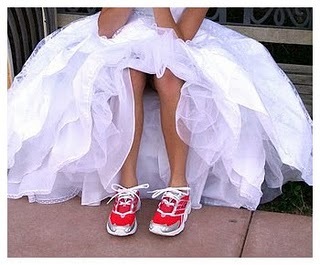 Those shoes look more comfortable than the pair I wore on my wedding day! I'm following both of your blogs now. Thanks again for linking up with the Feed Me Friday hop! I am in love with this picture.the reds shoes are awesome! Oooh this is a fun blog hop - I came over from 'House on the Corner'. I am now following you - hope you can stop by my blog too!! Stopping by on the Sit & Relax Blog Hop and am following along via Facebook & GFC! So glad you linked up because I just recently started running so your blog is pretty inspiring! Just what I needed! Thanks!